New Delhi, December 17: Intending and stressing on to promote bio-jet fuel, the Indian Air Force flew India’s first military flight using blended bio-jet fuel on the An-32 transport aircraft. The project of using the bio-jet fuel was undertaken in an effort to cut down its carbon footprint, and so the team from the Aircraft Systems and Testing Establishment (ASTE) test flew a bio-fuel demonstrator Russian made An-32, transport aircraft of the Indian Air Force (IAF) out of Chandigarh on Monday. The biofuel blended with the aviation turbine fuel (ATF), has been used for the first time by IAF. 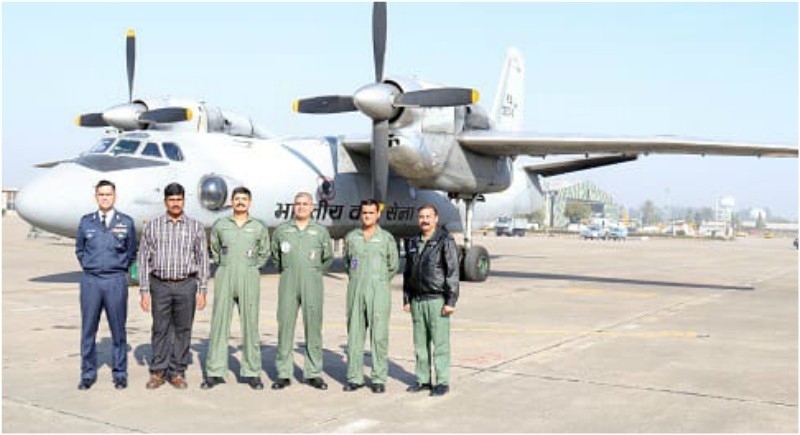 Once the An-32 transport aircraft are converted to biofuels, the IAF will try to do the same with other machines in the service including the MiG-29, Su-30 MKI. IAF’s in-house testing facilities along with financial support from the service’s indigenization fund and the Defence Research and Development Organisation (DRDO)’s Centre for Military Airworthiness & Certification and Directorate General of Aeronautical Quality Assurance are involved in the project. With the success of this ambitious project of using blended fuel, it could possibly help in reducing the import of the ATF for the IAF and the civil aviation industry. With such a step, it will put India in the select group of nations including the US who have flown military and commercial aircraft on indigenous bio-jet fuel. The testing of the military jet is targeted to have the aircraft fly with biofuel over New Delhi, during the Republic Day Parade in January 2019. The IAF hopes to have the transport aircraft flying with the biofuel blends by 2021.